Rick Budweg – Strategex, Inc.
Rick is a Vice President at Strategex dedicated to our 80/20 practice. He has acquired over 30 years of extensive 80/20 knowledge as well as operations, financial and management experience. Rick has held a range of professional roles, from Controller to Group President. Prior to joining Strategex, Rick gained valuable experience from Illinois Tools Works. He has over 35 years of practical business experience and over 31 years of utilizing 80/20 principles to simplify businesses. Rick joined ITW in 1985 as a Business Unit Controller and worked in various financial and operational roles until becoming General Manager of a business unit in 1991. From there he became a VP/GM and, for the last 9 years, was a Group President responsible for over $550 million of revenue in 14 countries. Applying the 80/20 principles to acquisitions and businesses in North America, South America, Europe, Asia and Australia, Operating Income and ROI consistently exceeded corporate goals and achieved over 25% and 22%, respectively. With global experience in manufacturing and service-oriented businesses, Rick has been involved in construction, automotive, alternative energy, industrial fluids and lubricants, packaging, machine tool, commercial marine and consumer markets. 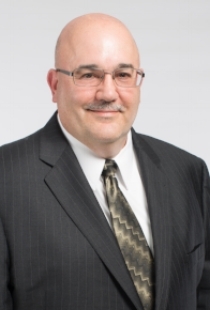 Prior to joining ITW, Rick received his BS in Accounting from Bloomsburg University in Pennsylvania, played minor league baseball for the New York Yankees, and held various financial positions at FMC Corporation.